This sharp and stylish timepiece from Breitling is polished perfection. 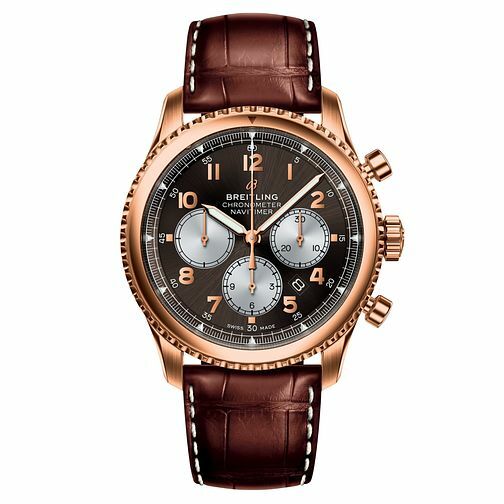 Powered by Breitling's proprietary automatic B01 movement, this sophisticated piece features a rose gold tone bezel with three sub dials and a date aperture. Precision and reliability are at its forefront with a certified chronometer and intricate indices. Finished with a brown stitch leather strap, this is an accessory that will add an exquisite touch to your wardrobe.